Christopher Nolan knows how to make a Batman movie. The director took the caped crusader back to his roots with the gritty origin story Batman Begins, revitalizing the franchise after a string of flamboyant blockbusters which didn't do the source material much justice. The Dark Knight takes us back to Gotham where the Bat has settled in nicely; he's got a new bat-bike and a shiny new bat-cave to boot. But the real attraction here is his newest adversary; Heath Ledger's deranged take on the Joker. 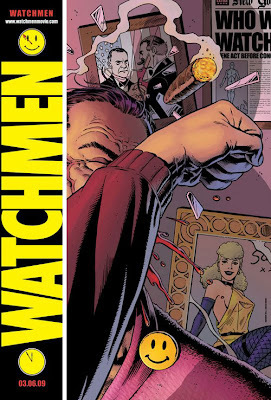 This version of the famous madman is nothing like Jack Nicholson's take on the character, he's a psychopathic anarchist bent on wanton destruction. This installment also promises to introduce Harvey Dent (played by Aaron Eckhart), the man who will later become Two-Face. My hope is that Nolan is smart enough not to double up with his villains; Spiderman 3 is a classic example of how multiple antagonists can drag down and convolute the overall story. The newest trailer and the first six minutes of the film which were shown before I Am Legend are making this one look like the best Batman flick yet, I just hope Nolan has another installment in him after this. Fresh off the success of Pan's Labyrinth, Guillermo Del Toro is delivering the next installment in his planned Hellboy trilogy. 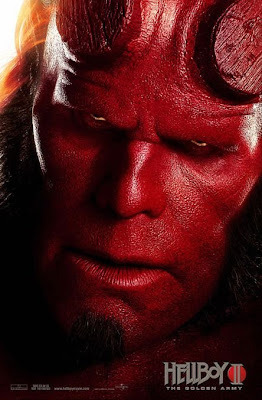 From the looks of it, the latest Hellboy flick strays away from the Nazi villains of the original, instead focusing on fantastical monster reminiscent of those in Del Toro's last directorial effort. Doug Jones takes on no less than 4 characters in this installment, including the striking Angel of Death seen in the teaser trailer (the one with all the eyes). The action and effects in this one seem to lean towards a more cartoony look and feel, which I think will work well for the film; this is based on a comic book after all. 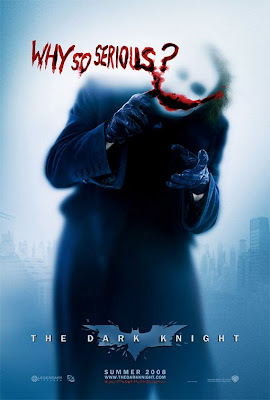 July 2008 is going to be superhero month, this one hits theaters the weekend before Dark Knight. Let's just hope this one doesn't get lost in the shuffle. I had my reservations about this one before I saw the trailer. Sure, it's by the Wachowski brothers, but they don't exactly have the best track record as of late and this is a family flick. 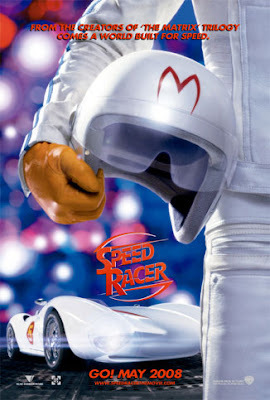 Sounded like a recipe for disaster, but I don't think anyone with a small amount of Speed Racer fandom can watch the trailer and not get pumped. The story looks pretty standard, but anyone above the age of 12 isn't watching for that anyways; we just want to see the Mach 5 in action. I expect the racing sequences to carry the movie in the same way that podracing inadvertently made The Phantom Menace slightly more palatable, if only for a few minutes. 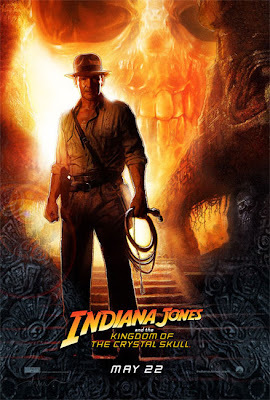 God willing, George Lucas didn't have much input on this latest, and possibly last, installment of the Indiana Jones franchise. The involvement of Shia LeBouf also has me a bit worried, he played the same annoying character in everyone of the 10 films he was in last year and that mustache looks SO dumb. It also can't go without saying that Harrison Ford is getting a little old for this kind of thing. Oh, and Munich was badass, but War of the Worlds kind of soured Spielberg's reputation for me. Those arguments notwithstanding, I want this movie to prove me wrong and deliver. In the worst way. Please be good. Please. Kevin Smith has never been in a better position to really see some broad success with one of his films. Sure, movies like Clerks 2 and Dogma weren't box office disasters, but they catered to a certain audience and didn't really generate much crossover success. Nothing on the scale of, say, 40 Year Old Virgin. This is the movie where all that could change. For one, Smith has current surefire funny-man Seth Rogen as his lead. That alone will sell tickets, guaranteed. He's also cashing in on a wave of raunchy R-rated comedies in the vein of Knocked Up, Superbad, etc. Hell, Smith has been doing those kinds of movies for years, long before this Judd Apatow fellow showed up on the scene. I've got high hopes for this one, snootchie bootchies!